The title of this blog is really the main headline for what was the most valuable thing I got from the conference; the utter decimation of this ‘impostor syndrome’ I had been battling with. As an ecologist writing a blog on the museum ‘ecosystem’, I rub my hands with glee at all the metaphors I can use! It is certainly true that other departments and museums within the University of Reading count as ecological units of the ecosystem the Cole inhabits. However, meeting the welcoming, relaxed, inclusive, tolerant and passionate NatSCA members in Leeds made me look at the ecology of the Cole on the wider landscape level – we the museum, and myself, are valid and valuable ecological units outside of our own habitat. Meg Cathart-James with Cole Museum Curator Professor Amanda Callaghan. © Meg Cathart-James. Whilst chatting to new people and answering questions about where I’m from etc., I found myself constantly apologising for not being natural history museum-trained; and every response was, oh don’t worry about that we’ve all come from really diverse backgrounds, or something along those lines. So eventually I stopped apologising, and started feeling like I belonged in an association like this, at a conference like this, with people like this. My passion for the Cole Museum and personal love of botany (forgive me Amanda!) were enough to be included in a very natural way, by some true experts in their fields, in lively conversations about collections. The conference as a whole felt like a coming together of like-minded friends who hadn’t seen each other in ages; and new members of the friendship group were welcome. I wonder if NatSCA realise how truly unique that makes them? The theme of the conference was incredibly relevant to many of the challenges the Cole Museum is facing as we head towards a university-imposed move to a new building. Positive and successful relationships with stakeholders outside of the university’s museums or the School of Biological Sciences (within which the Cole sits) are crucial to the new iteration of the Cole being a valuable teaching resource for many more decades to come. It is a huge responsibility, and those two days in Leeds with NatSCA have helped me feel that I am qualified to fulfill my part, that the Cole is not alone in its need to form a strongly connected landscape for future resilience, and that help is always at hand. 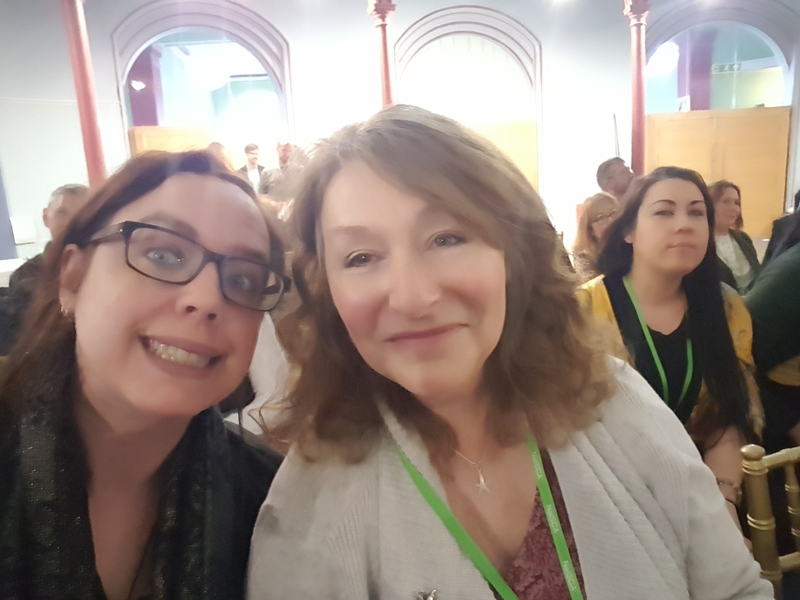 My heartfelt thanks to NatSCA for awarding me the conference bursary, as without it we could not have afforded for me to attend and I would have missed out on a truly invaluable experience.